The simple and stylish look of these contemporary style counter chairs makes them a chic pair with many different decor styles. 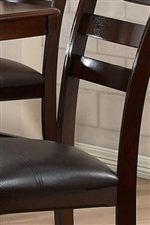 The understated adornments used on this chair, like tapered block legs, thin wood slat ladder back, and seat with chocolate brown upholstery and channel stitching give the chair a clean, polished look. The seat, upholstered with our UltraHyde material, offers you firm support and a durable piece of furniture that's easy to clean and maintain. This counter-height chair is an excellent choice for outfitting your kitchen, bar, or formal dining room in a chic, fashion-forward style. The 1965 Dining Contemporary Pub Chair with UltraHyde Upholstery by Holland House at Royal Furniture in the Memphis, Nashville, Jackson, Birmingham area. Product availability may vary. Contact us for the most current availability on this product. 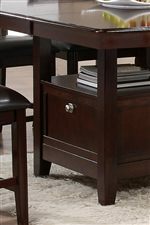 This striking modern style dining collection is constructed from hardwood solids with cherry veneers and a rich Merlot finish, creating an understated contemporary look. 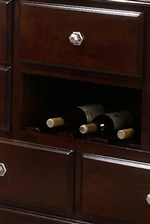 A remarkable choice for outfitting your bar or game room, this collection offers plenty of storage, with a clever storage-base pub table and a server with ample drawers and a wine rack for displaying your favorite vintages. Its easy to be a conscientious host or hostess when you can store glasses, drinks, or bar accessories right in the base of your bar table where you needn't get up miss the conversation. This modern style collection has a fashion-forward look, completed by chocolate brown seat upholstery and stunning industrial style hardware. 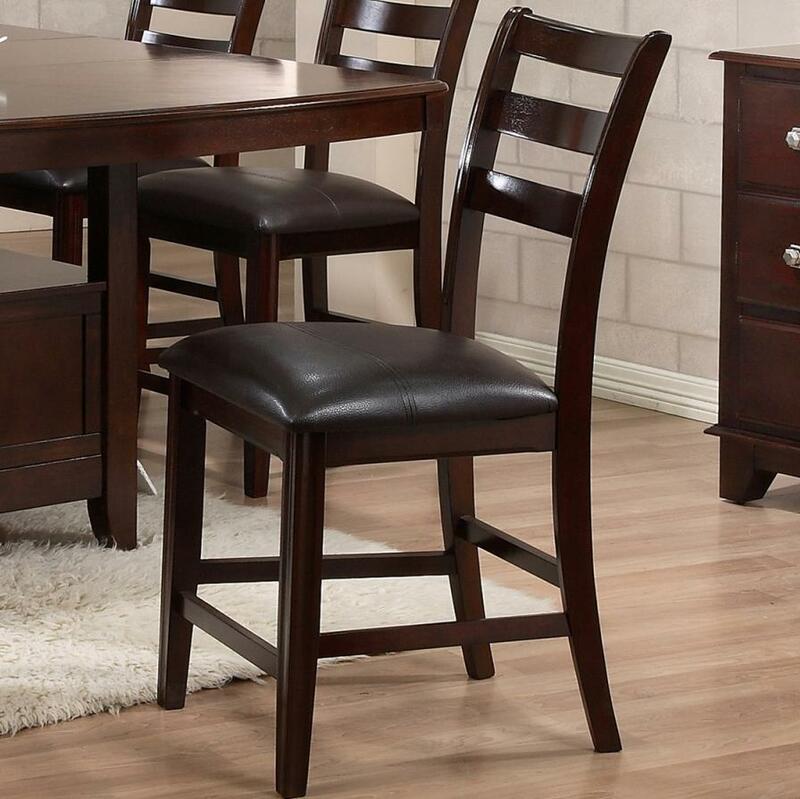 The 1965 Dining collection is a great option if you are looking for Contemporary furniture in the Memphis, Nashville, Jackson, Birmingham area. Browse other items in the 1965 Dining collection from Royal Furniture in the Memphis, Nashville, Jackson, Birmingham area.